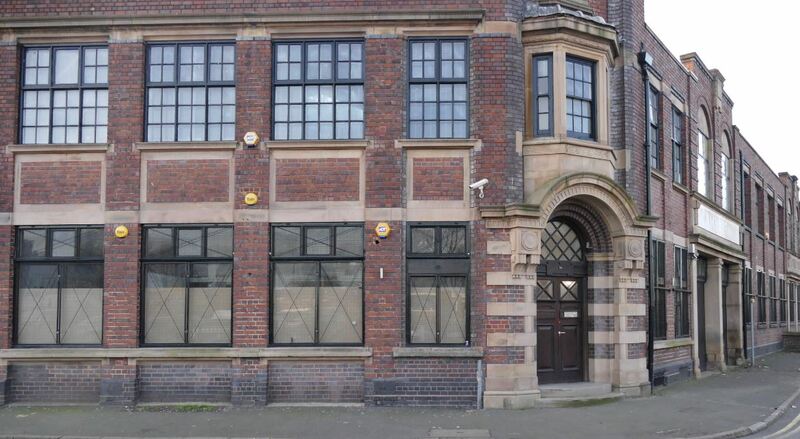 Introducing Odox: a new gallery, artist studios provider and project space in Birmingham. 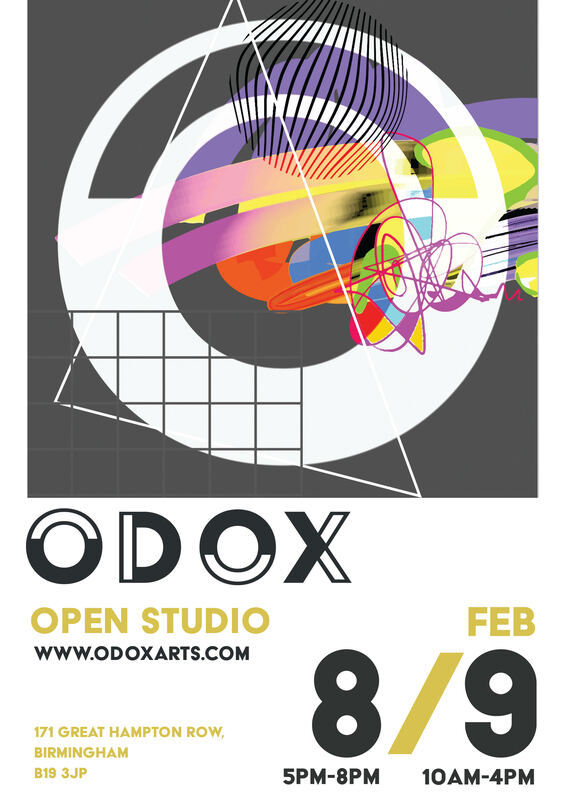 Based in the Jewellery Quarter, Odox is an artist-run space, which will exhibit contemporary art and design, offer affordable studio spaces for local artists, and deliver a programme of artistic workshops, talks and events. Odox opens at a time of exciting cultural regeneration in the Jewellery Quarter. Odox founders, Rob Hamp and Jay Taylor, have said that they “aim to embrace the area’s unique heritage alongside its current context” and “intend to make the area a destination for artists, designers, collectors and creative entrepreneurs”. Odox joins a range of other artist studios, galleries and museums in the JQ, including Argentea, the RBSA Gallery, St Paul’s Gallery and the Museum of the Jewellery Quarter. Set within a beautiful Grade 2 listed building, formerly a brass factory, Odox can be found on Great Hampton Row. Odox has been formed by 2 local artists, Jay Taylor and Rob Hamp, who lead Fine Art and Illustration courses at Coventry University. Rob Hamp is an author, artist and constructor, whose practice spans film, installation and sculpture. His work explores truths and untruths in elaborate narratives told around found and manufactured objects. He has exhibited internationally, with shows at the Permagard Buildings, Mougin, Cannes and Night Raas Gaas, Monaco. He is also committed to the Midlands art scene, exhibiting at the Coventry Biennial of Contemporary Art, RBSA Gallery and Stryx Gallery. He lectures on the Fine Art & Illustration course at Coventry University. Following a degree in Illustration, Jay Taylor launched a hugely successful career in the creative sector as a professional illustrator. Clients include the Guardian, Virgin, Channel 4, Ted Baker and Tatler. Whilst working in industry, Taylor always made paintings.Today, these appear at the cross-section of fine art, illustration and graphics, with complex, multi-layered environments. He has exhibited across the globe, with shows at major galleries, including Soho Gallery and Coningsby Gallery in London and Van Der Plass Gallery in New York. He is the Course Director for Fine Art & Illustration at Coventry University. Odox offers purpose-built studio spaces for local artists, designers and creatives. There are a total of 4 desk spaces and 4 artist studios, filled with natural light from the large windows. They are already starting to be taken. One of the first artists to sign up is Thomas Parry, known for his Birmingham brand ‘Made on the Canal’ which features illustrations of the city’s landmark buildings, structures and monuments. “Our ethos is to encourage a lively community of practitioners across disciplines, supporting the development of emerging and more established practitioners. We want to create a welcoming community, and a more transparent and inclusive art world” – Jay Taylor. Central to Odox is the Project Space, which will promote local artists and hold exhibitions, host creative workshops and artist talks, and provide a unique meeting space for new ideas. Both founders want Odox to promote cross-disciplinary practice, focused on contemporary art and design, and contribute to Birmingham’s diverse and growing art scene. “We welcome multi-disciplinary practice, including fine art, illustration, design, and animation, with the aim of expanding the definition of exhibition practice. We will invite a range of practising professionals from a diverse range of disciplines to offer creative workshops. It will encourage an exchange of skills, ideas and creativity between local and international artists, designers and makers, curators, illustrators and animators. We offer the opportunity for new encounters and dialogues at the intersection of the orthodox and unorthodox, promoting innovation”. Odox will open their doors for the first time over the weekend of 8 and 9th February 2019, welcoming visitors to their space. There will be a drinks reception on Friday 8th February from 5-8pm. Odox is located within easy access of Birmingham city centre. By train, it is just a 10-minute walk from the Jewellery Quarter Train Station, and a 20-minute walk from Birmingham New Street Train Station. Trams connect Birmingham New Street with the Jewellery Quarter Station. Formed in 2018, Odox is a non-profit Community Interest Company. P.S. Want to read my recommendations for a cultured day out in Birmingham? Head over to my post on an inside guide to the best things to do in Birmingham here.